You know the saying “One man’s trash is another man’s treasure”? well, that saying reminds me of what artist Damien Hirst did with “Treasures from the wreck on the unbelievable” except none of it is trash, rather it is all really unbelievable. 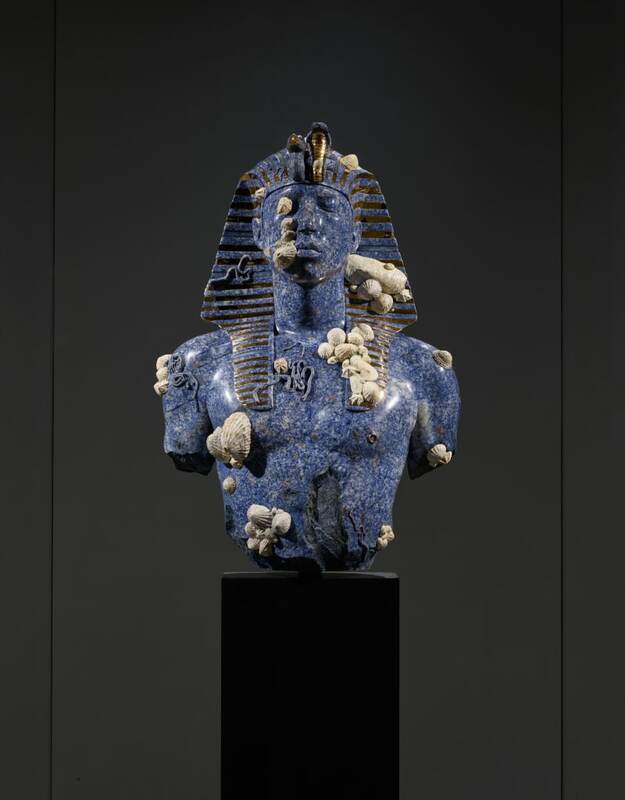 At first, Hirst wanted us to believe that his decade long collection that was said to be found in the oceans outside of East Africa resulted in “Treasures from the Wreck of the Unbelievable”. Inside Punta Della Dogana, the former sea customs house and Palazzo Grassi both located in Venice, Italy, Hirst filled 5000 square meters, with hundreds of spectacular art pieces. This solo exhibition was first opened in April 9th 2017 and has had more than 360 thousand visitors since. Damien Hirst who is originally from Bristol, England has since the beginning of his career in 1987, shown his work all over the world. With over 90 solo exhibitions and more than 300 group shows, this show took a different turn than the rest of them. 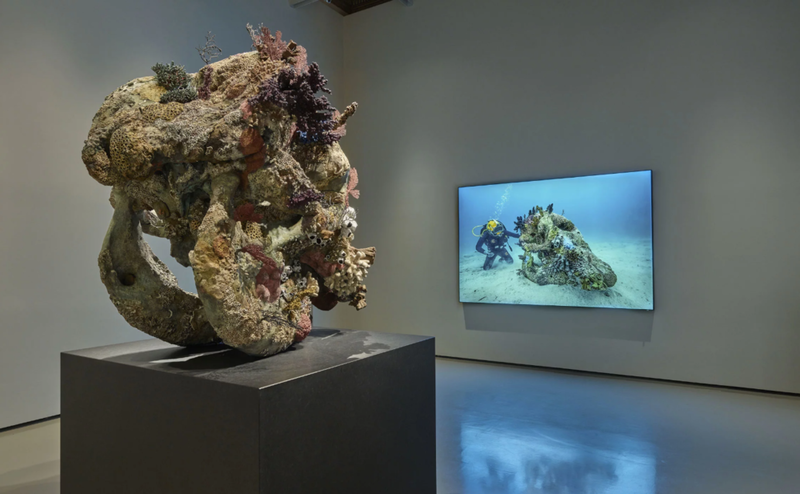 It turned out, that Hirst who is known to discuss the multiple layers of art, religion, beauty, science, life and death using both installations, paintings, drawings and sculptures had planned a surprise all along the making of “Treasures from the Wreck of the Unbelievable”. At first glance visitors are amazed with the spectacular and grand art pieces throughout both spaces, and after some thinking it might not come as such a big surprise that the whole exhibition turned out to be a mockery on itself. The exhibition, instead of ending up being about the artwork sheds light on what the meaning and value of art really is and opens up a discussion on who decides it. Along with the fake art exhibition Hirst created a fake documentary (that can be viewed on Netflix with the same name as the exhibition) about the findings of the art work and the art show. “It’s not about what’s there. It is about what’s not there.” Hirst said in the documentary. The mockumentary was made by Hirst to be explain the fake 2-venue exhibition of his. Hirst said to be one the richest artist in the world, financed the film and exhibition himself. After watching the documentary we are told the decade long process took 65 million dollars to fund. The exhibition despite the hidden agenda housed a total of 189 pieces of Hirst’s artwork. The enlarged Demon with Bowl sculpture stands over 18 meters, with great detail the headless monumental man is a real show stopper. Five Grecian Nudes, five sculptures of a female torso made out of pink marble are Hirst’s work replicating antiquity. Golden heads (Female), a sculpture made out of gold and silver of a female face was all over the headlines as Hirst was accused of copying the Ori Olokun 14th century bronze head sculpture from Ife an ancient Yoruba kingdom.